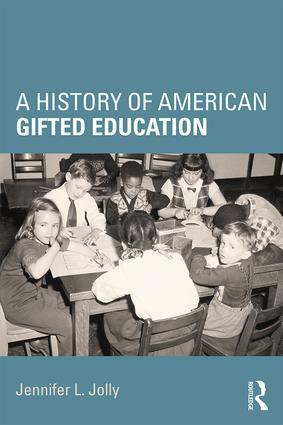 A History of American Gifted Education provides the first comprehensive history of the field of gifted education, which is essential to recognizing its contribution to the overall American educational landscape. The text relies heavily on primary documents and artifacts as well as essential secondary documents such as the disparate historical texts and relevant biographies that already exist. This book commences its investigation of American gifted education with the founding of the field of psychology and subsequently gifted education at the early part of the 20th century and concludes just over a century later with the passage of the No Child Left Behind Act in 2001. ByJennifer L. Jolly, Robins Jennifer H.